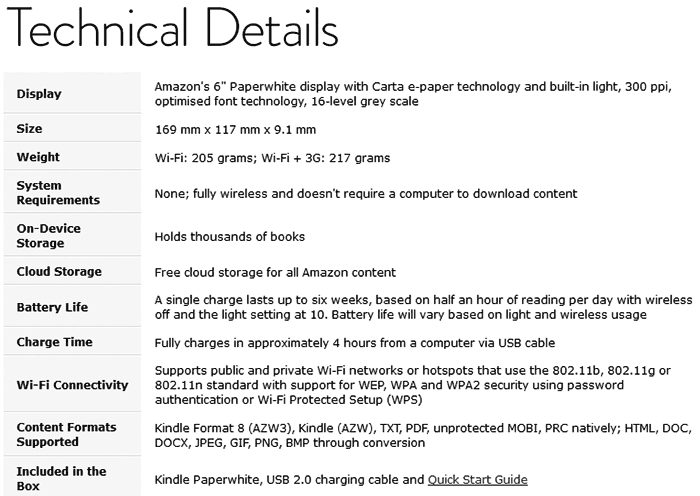 Amazon has updated its mid-range Kindle Paperwhite model with an 'all-new' version. The headlining improvement to the Paperwhite is the inclusion of a new sharper display. It boasts a 300 pixels-per-inch (ppi) e-paper display – that's twice the pixel density of the previous generation – and Amazon says that it "reads like real paper". Introducing the all-new Kindle Paperwhite, Amazon's founder and CEO Jeff Bezos said "The new Kindle Paperwhite obsesses over the details that matter most to readers-we've added our highest-resolution display so the words are crisp and clear on the page, a new font that is crafted exclusively for reading Kindle books, and a new typesetting engine that makes pages beautiful. Together, these details help you read faster and with less eyestrain, so you can lose yourself in the author's world." 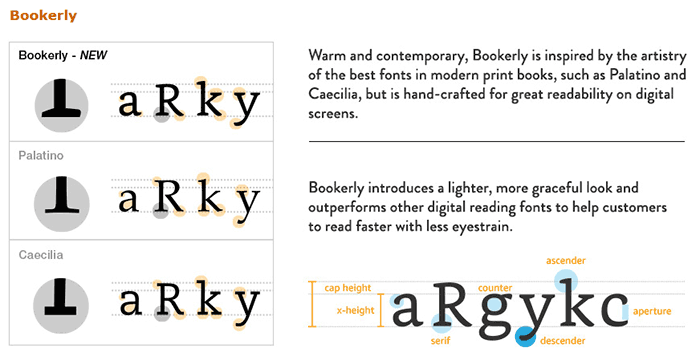 The new font mentioned by Bezos above is 'Bookerly'. We are told that this font is designed from the ground up for reading on digital screens. The typographic style is said to be "inspired by the artistry of the best fonts in modern print books," yet doesn't compromise on readability even at the smallest character sizes. As well as the new screen, which now matches the resolution of the more expensive range-topping Kindle Voyage model, Amazon has a new type rendering engine on the way. The "all-new typesetting engine" offers improved character spacing and the addition of hyphenation, justification, kerning, ligatures, and drop cap support. The firm has considered those who prefer to read in larger font sizes and the new engine works with larger type "without compromising your reading experience". 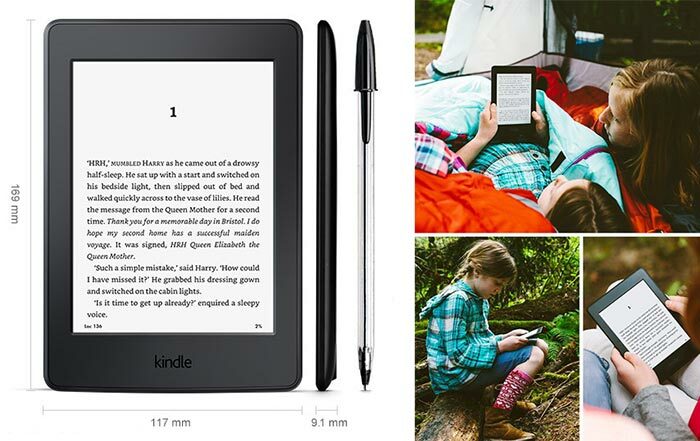 Amazon's new Kindle Paperwhite retains all the important features that make Kindles among the best paperback alternatives; a non-glare screen, built-in front light for low-light reading, light – so you can read with one hand, non-distraction dedicated reading system, and running from a single charge for up to six weeks. 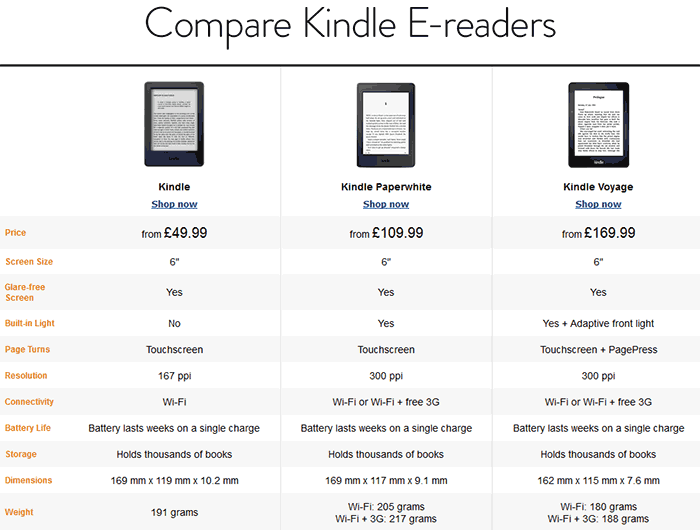 The new Kindle Paperwhite will become available in the UK and the US from 30th June. The Wi-Fi only model costs £109.99 ($119) and the Wi-Fi plus free 3G model costs £169.99 ($189). Add £10 ($20) to those prices if you don't want any Amazon Special Offers sent to your device. Availability is scheduled for 30th June. Big fan of the “proper” Kindle (as compared to the Kindle smartdevice app) but there's always the Saracenic suspicion in my mind that I'm only able to use my content because Amazon say I can. Usual complaint about any system that applies DRM. Although in my case I've also got a lot of content that I bought from eReader.com (now defunct) and converted from Palm PDB format, (so presumably Amazon can't touch this!). One question though. They seem to be making a big deal about the backlight - but I thought the whole deal about eInk screens was that they didn't need a backlight - certainly my old gen Kindle doesn't unless it's real dark out. So my question to Paperwhite owners is whether the light is only coming on when needed, otherwise the second plus for eInk - battery lifetimes that smartwatch owners can only dream about - is going to be hit. Kindle Paperwhite guides light towards the surface of the display with its built-in front light – so you can read comfortably without straining your eyes. Adjust your screen's brightness for great reading in any light." As others have said elsewhere, either the Voyage is due an imminent refresh or it suddenly became a much harder sell. Thanks. Doesn't sound that good - I'm used to tablets with their “autobrightness” function. Think if I had a KPW then I'd have that light switched off or down to a real low level … bit “precious” about battery life.